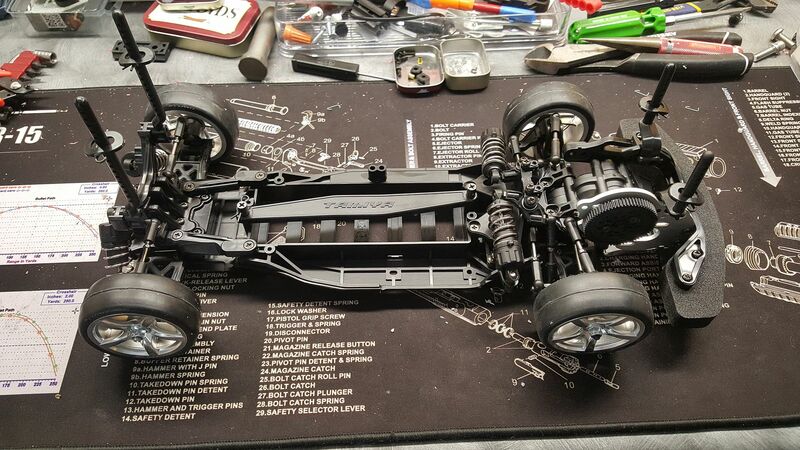 I have long harbored a fascination with Tamiya rc, manly because I like to assemble stuff, and most of the Tamiya options are build-it-yourself!!! Recently I was browsing Tamiya USA, mainly due to having found out about the near release of the 6x6 Konghead (I will have a thread about that as I purchased a kit last week.) and I stumbled upon the oft overlooked FF chassis cars. These are 10th scale front wheel drive cars that use some of the nicer tech found in the TA and TB series of 4wd kits. The price was right so I pulled the trigger, first time ordering direct from Tamiya USA. Maybe it was due to the July 4 weekend, or they are just slow to process, but it took about 4 days for them to ship. Got the kit in yesterday and started work on it. 1st thing, this is a nice kit, and while the bulk of the hardware is Philips drive, it is mainly fine/machine thread. 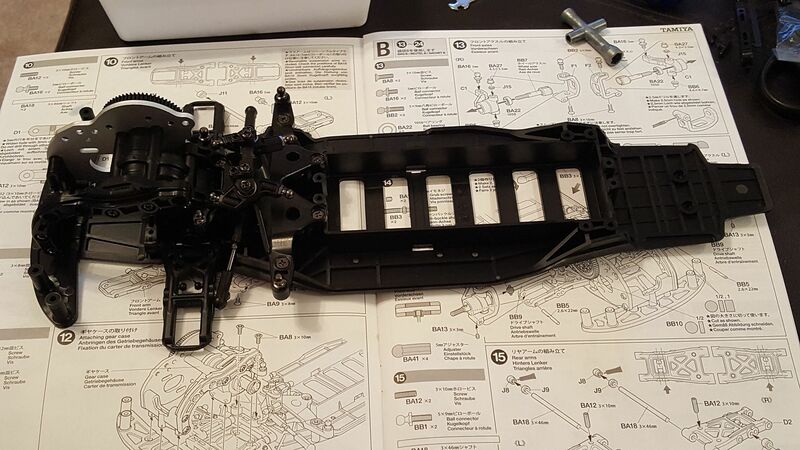 Parts fit is typical tamiya, so very nice. As always, the molding quality is stellar. 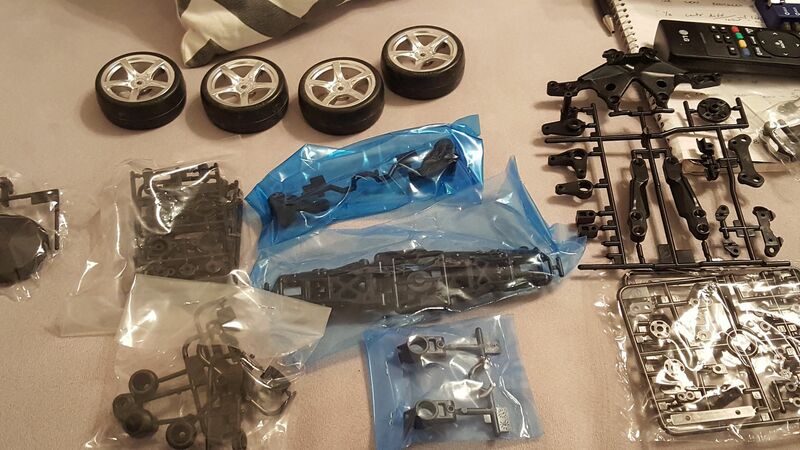 This kit comes with shielded ball bearings for the trans and wheels. Also comes with the CVA oil filled shock kit. 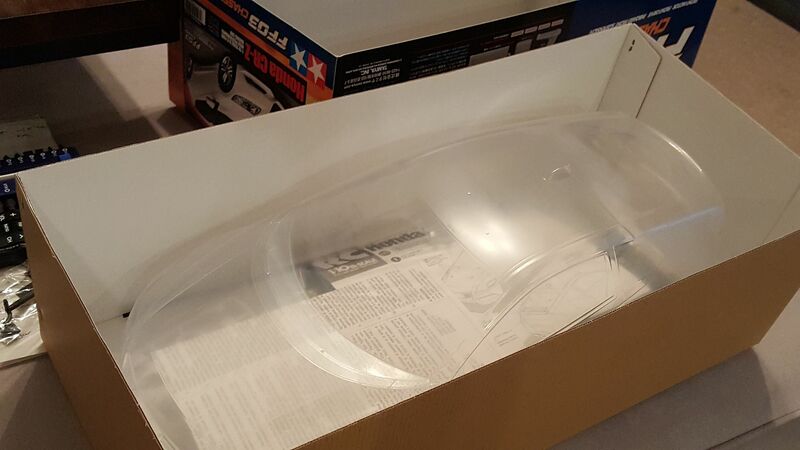 Lots of parts, so this will be an involved build, just adding to the fun! 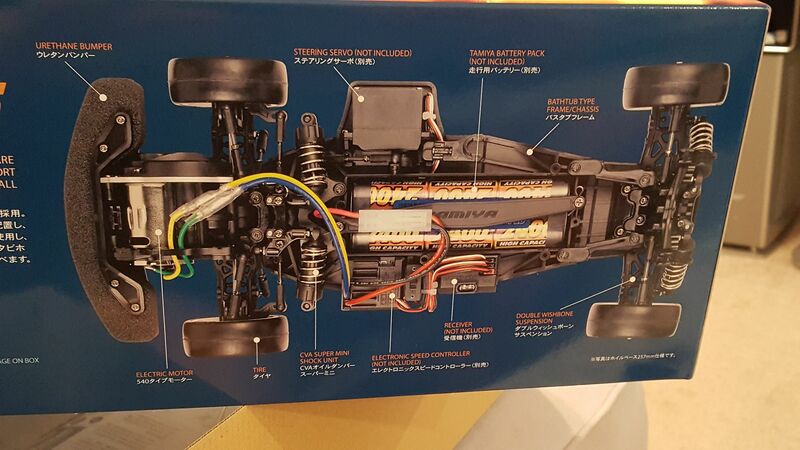 I will note that I have built about 20 Tamiya kits, so I am familiar with their instructions. I do not find them hard to follow, and all of the fasteners and linkages are pictured in scale so you can easily match them up by eye. Not too far along with the build, but here are pics! Very nice start! I went browse the other day after you noted that and saw this kit, very tempting. Amazed to see the front suspension is cantilevered as well. I have it on my short list to pick up, especially for $100. 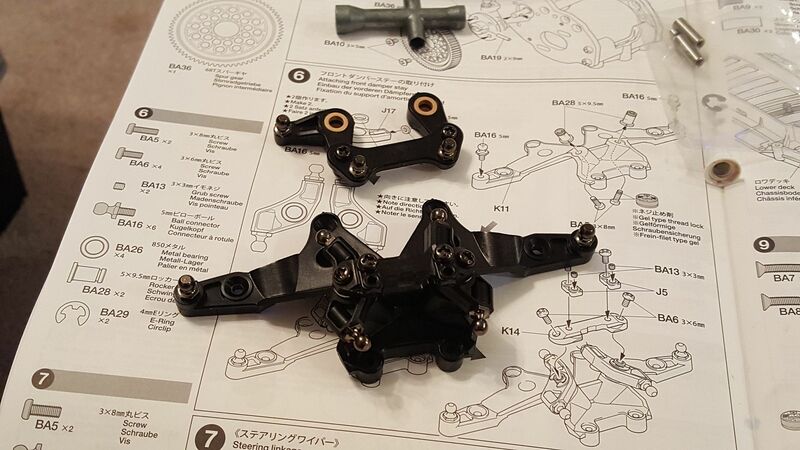 I do prefer that motor mount versus the mount in the TT02. Not really a fan of predefined gear mesh, but it works. 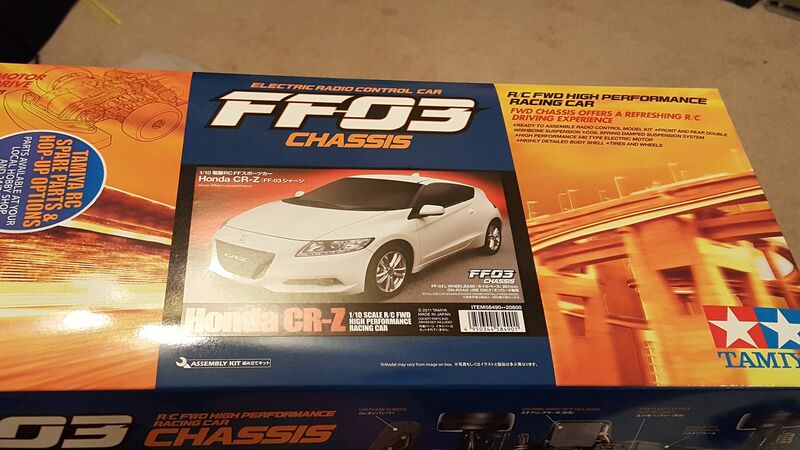 Take a look at this FF03 getting down. 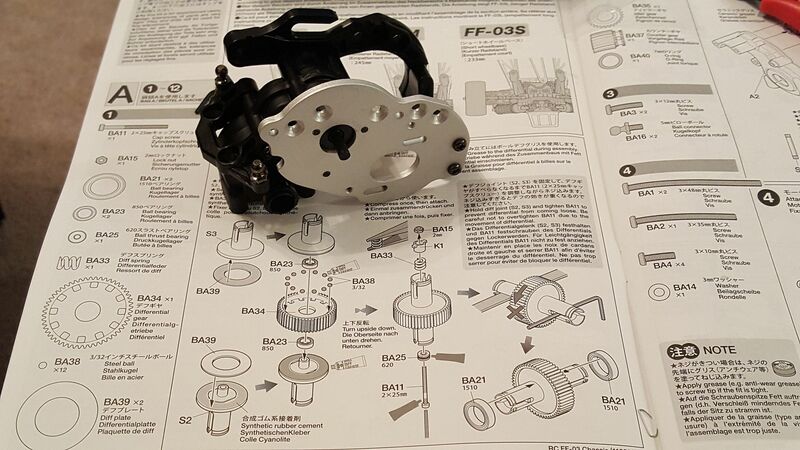 Alot of the tamiya kits have predetermined gear mesh, and it is best to buy pinions with one tooth more than recommended as sometimes you can get a better mesh by adding a tooth. I plan to pick up a TB kit as well. 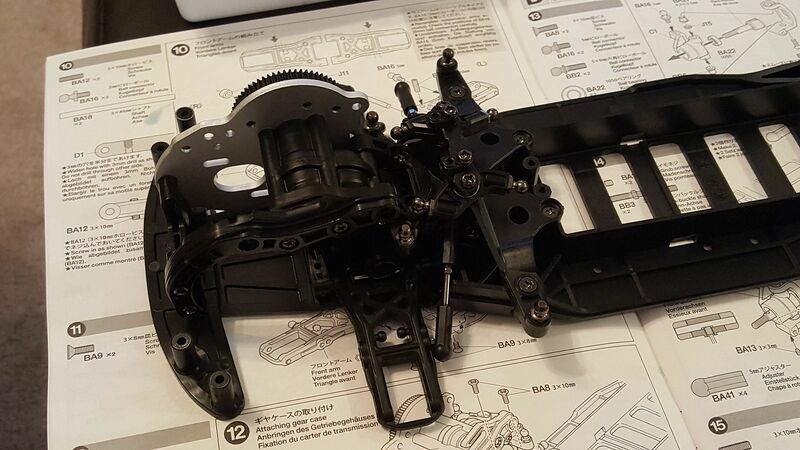 they have a nice kit on the TB-04 chassis for 185, oil shocks, bearings, etc. 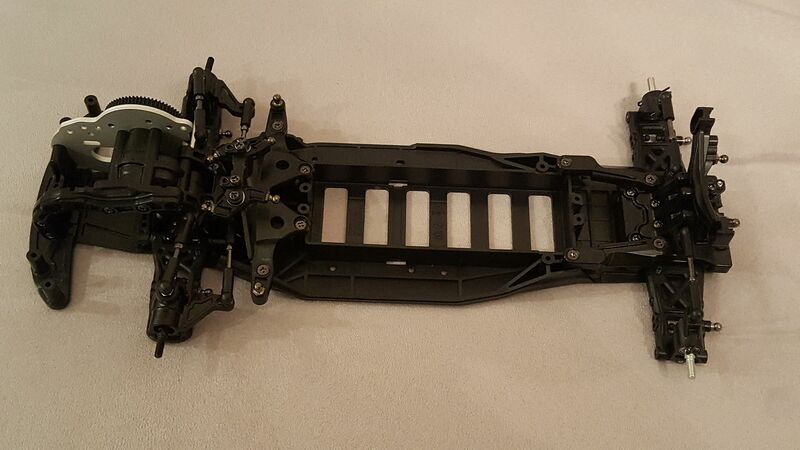 Probably get the TT-02 NSX kit as well, so cheap and it has the brushless esc. I put the shocks on and got the wheels on it, forgot to take a pic...will get one up later. 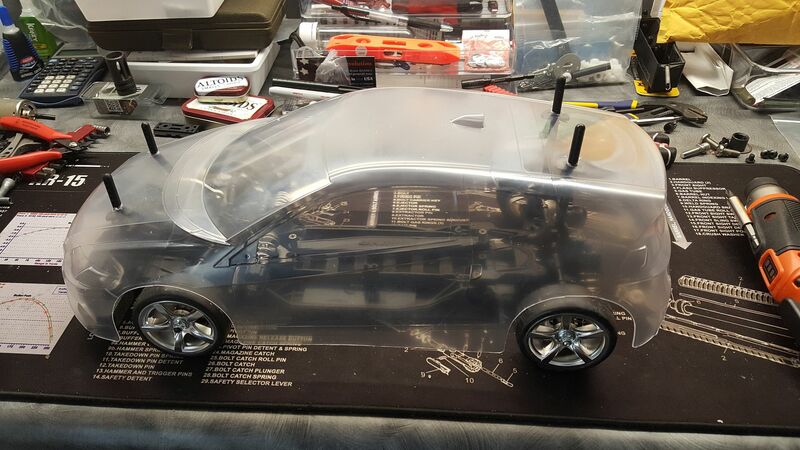 Finish the chassis build and trimmed the body. Ready to paint... That will be a while as I have a few to paint and would like to do them all at once. Btw, photobucket is shitting on it's users and making you pay to host pics for 3rd party linking. Lots of good threads are pictureless now from this. It seems to be once you've crossed a certain level of bandwidth on hosting.